The goal for a HVAC (Heating, Ventilation and Air Conditioning) system is to provide proper air flow, heating, and cooling to each room. In this process HVAC systems can provide reduce air infiltration and maintain pressure relationships between spaces. In HVAC Industries there are so many standard organizations such as ASHRAE, SMACNA, ACCA, Uniform Mechanical Code, International Mechanical Code, and AMCA have been established to support the industry and encourage high standards and achievement. Sometimes HVAC Design (heating, ventilation, air conditioning) systems have been compared to a mystical science, part alchemy, part religious ritual. Design HVAC systems for people living inside buildings, not for the buildings alone. In HVAC System, Ventilating is the process of replacing air in any space to control temperature or remove smoke, heat, dust and airborne bacteria. Ventilation includes both the exchange of air to the outside as well as circulation of air within the building. It is one of the most important factors for maintaining acceptable indoor air quality in buildings. There are different types of standard heating process in HVAC system design. Central heating is often used in cold climates to heat residential houses and commercial buildings. Heating can also be provided from electric, or resistance heating using a filament that becomes hot when electricity is caused to pass through it. 1 Handbook of PE pipe . 2 Fundamentals of air pollution engineering . 3 GeoSource Heat Pump Handbook . 4 Heat Exchanger and Boilers – Energy Conversion Guide . 5 Primer on spontaneous heating and pyrophoricity . 6 Recommendations for loop sizing, piping guidelines, piping arrangements . 8 Thermodynamics Heat Transfer and Fluid Flow Handbook . 9 User Guide for Desiccant Dehumidification Technology . 10 Danfoss – The Heating Book . 11 Refrigeration and air conditioning . 12 Control Valve Handbook . 13 Heating and Cooling With a Heat Pump . 14 Ground-Source Heat Pump Project Analysis . 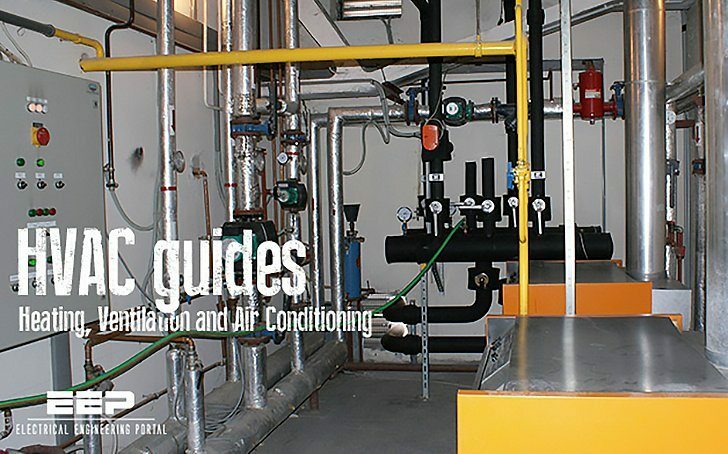 15 Guide to Combined Heat and Power Systems . How to apply VSD or decided to use VSD for motors in HVAC system?